There are so many scientific studies showing the direct, toxic effects of fluorideon your body, it’s truly remarkable that it’s NOT considered a scientific consensus by now. Despite the evidence against it, fluoride is still added to 70 percent of U.S. public drinking water supplies. It amazes me that the medical (and dental) communities are so stubbornly resistant to connect the dots when it comes to the skyrocketing increase of cognitive decline in adults, and behavioral issues in children (ADD, ADHD, depression and learning disabilities of all kinds). In fact, there have been over 23 human studies and 100 animal studies linking fluoride to brain damage.3Fluoride can also increase manganese absorption, compounding problems since manganese in drinking water has also been linked to lower IQ in children. 1. Portland, Oregon: Even though residents have voted down fluoridation three separate times, the pro-fluoride lobbying is now working to influence city councilors to ignore the public and pass fluoridation without another vote. If you live in the Portland area, please contact FAN’s Oregon point person, Kimberly Kaminski. You can email her atkim@safewateroregon.org. Portland residents will be battling a very well financed campaign by the ADA, Delta Dental and the PEW Charitable Trust. Please consider making a donation to Oregon Citizens for Safe Drinking Water. 3. Phoenix, Arizona — The city council is reassessing their fluoridation program. The issue was raised by Councilman Tom Simplot and local fluoride-free campaigners. The city currently spends more than $500,000 annually on fluoridation, and currently joins only 9 other Arizona communities in fluoridating their water. The city council is expected to study the issue and meet on September 11, when it will hold further hearings and decide the fate of the practice. If you live in the Phoenix area and would like to get involved, please contact FAN’s Phoenix coordinator. There’s no doubt about it: fluoride should not be ingested. Even scientists from the EPA’s National Health and Environmental Effects Research Laboratory have classified fluoride as a “chemical having substantial evidence of developmental neurotoxicity.” Furthermore, according to the Centers for Disease Control and Prevention (CDC), 41 percent of American adolescents now have dental fluorosis — unattractive discoloration and mottling of the teeth that indicate overexposure to fluoride. Clearly, children are being overexposed, and their health and development put in jeopardy. Why? • Like FAN on Facebook, follow on Twitter, and sign up for campaign alerts. 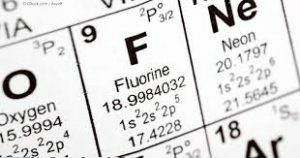 • 10 Facts About Fluoride: Attorney Michael Connett summarizes 10 basic facts about fluoride that should be considered in any discussion about whether to fluoridate water. Also see 10 Facts Handout (PDF). • 50 Reasons to Oppose Fluoridation: Learn why fluoridation is a bad medical practice that is unnecessary and ineffective. Download PDF. • Health Effects Database: FAN’s database sets forth the scientific basis for concerns regarding the safety and effectiveness of ingesting fluorides. They also have a Study Tracker with the most up-to-date and comprehensive source for studies on fluoride’s effects on human health. Please make a donation today to help FAN end the absurdity of fluoridation.